Nargis wore a Sonaakshi Raaj outfit. 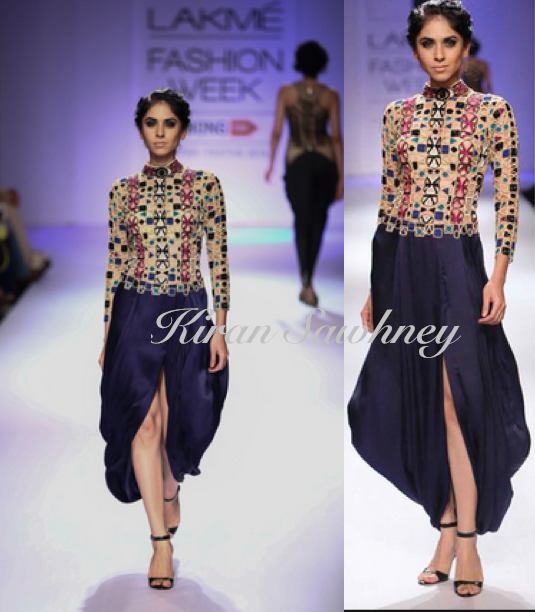 It has dhoti kind of skirt and embellished top. It is a very different outfit and very difficult to carry. Not everyone can like it. Nargis, however carried it well. Kudos to her for that.